Add some playfulness sneaker style in the Earth Nimble Viva. 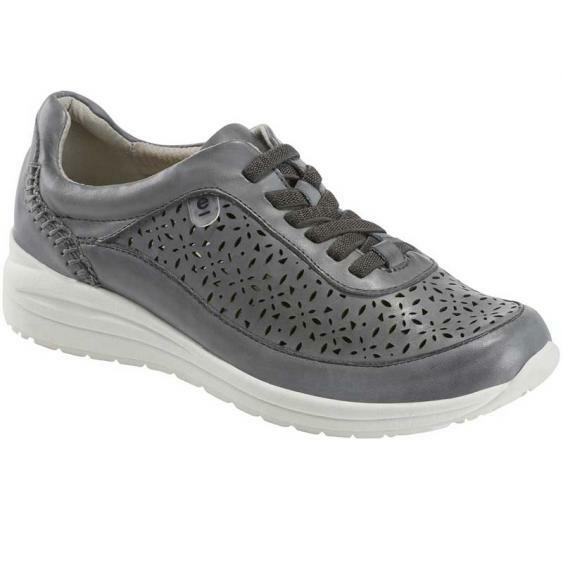 This women's fashion sneaker features a supple leather upper with perforations for breathable performance. Inside, your feet will feel comfortable and supported thanks to the cushioning from heel to toe as well as extra cushion for the arch, and breathable leather lining. The Earth® Powerpath® outsole and will provide sure traction on a variety of surfaces. Take on your day in style and comfort in the Earth Nimble Viva.